It’s that time of year again! Time for Halloween pumpkins, candy, costumes – and possible claims to your homeowner’s insurance. While trick-or-treating is a time-honored tradition, it also increases the risk of damage to or accidents on your property. Be on the lookout for these events that could trigger a claim, and make sure your insurance policy will cover them. It’s unfortunate, but vandalism does occasionally occur on Halloween. Your homeowner’s insurance policy will cover most types of vandalism. But you’ll need to decide if those acts cause enough damage to make filing a claim worth it. If your car is vandalized, that is usually covered through your auto insurance. Even the most well behaved dogs get spooked on Halloween. With so much activity and so many new, costumed faces, it’s easy for dogs to get excited. That excitement could manifest as a dog bite. Most homeowner’s policies do cover dog bites, but those guidelines can vary from state to state. You should double-check your policy, especially if you got your dog after you got the insurance. The best way to prevent an accident like this is to secure your pets on Halloween so they aren’t coming into contact with people. Nothing creates a spooky atmosphere quite like a jack o’ lantern. But those candles are often the source of accidental fires. Your homeowner’s policy will most likely cover the cost of living expenses and repairs. That is, of course, unless your fire was caused by a dangerous activity, like having a bonfire next to a pile of dry leaves a few feet from your house. Your best bet is to invest in some flameless candles that provide much less risk of fire. Small children wearing bulky costumes or masks that limit their visibility are more at risk of getting hurt. If a child or a party guest gets injured on your property, the liability portion of your policy will cover it. However, if a decoration or some other hazard caused damage to your property in the meantime, those damages may not be covered. If you have any questions about what your policy covers, talk with your insurance agent. Here’s one you may not have considered. 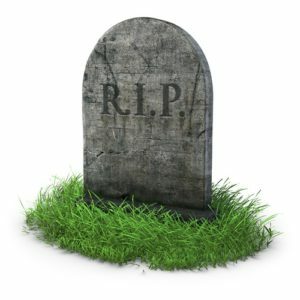 If a loved one’s gravestone is damaged during a Halloween prank at the cemetery, your homeowner’s policy will cover it. Even though it’s not in your yard, your family’s final resting places are protected. Nothing kills a good time like an accident. The best way to ensure you have an accident-free Halloween is to take safety precautions. Use battery-powered flames in place of real ones. Make sure your house and yard are well lit. Keep your pets in another room during trick-or-treating. And remove any debris or decorations that could cause someone to trip and fall. While you can’t prepare for every possible accident that can occur, it does pay to be prepared. Check with your insurance agent if you’re concerned about your coverage and follow basic safety precautions to have a happy and healthy Halloween!